This Oct. 14, 2014, file photo shows miles of unused pipe, prepared for the proposed Keystone XL pipeline, sitting in a lot outside Gascoyne, North Dakota. 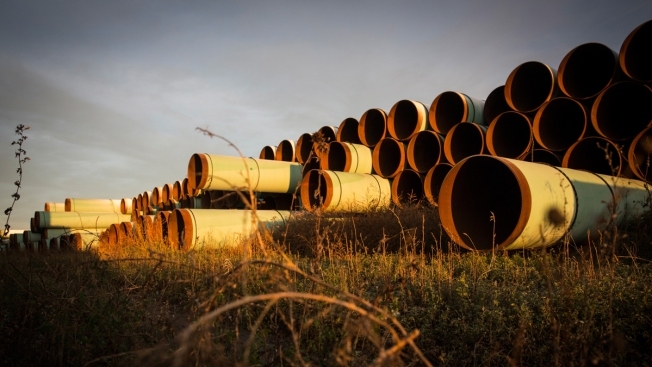 A federal judge in Montana has blocked construction of the $8 billion Keystone XL Pipeline to allow more time to study the project's potential environmental impact. U.S. District Judge Brian Morris' order on Thursday came as Calgary-based TransCanada was preparing to build the first stages of the oil pipeline in northern Montana, The Great Falls Tribune reports. Environmental groups had sued TransCanada and The U.S. Department of State in federal court in Great Falls. The 1,184-mile (1,900-kilometer) pipeline would transport up to 830,000 barrels of crude a day from Alberta, Canada and Montana to facilities in Nebraska. 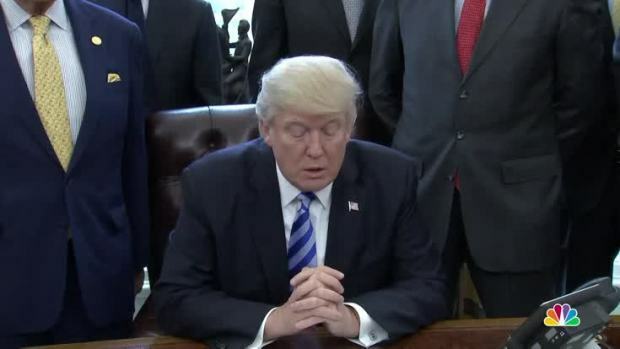 President Trump issues a permit to build the long-delayed Keystone XL pipeline on Friday.